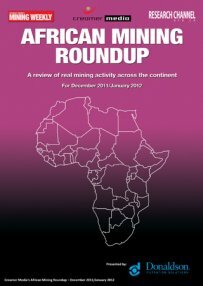 The African Mining Roundup is a synopsis of mining activity across the continent. The December/January roundup covers reports from over 20 countries, and includes over 130 separate news items in an easy-to-read disaggregated format. This electronic report includes details on Botswana's decision to lift its ban on new prospecting licences for coal, coal-bed methane and related minerals; Russian steelmaker Severstal increasing its shareholding in the Putu iron-ore project, in Liberia; and Australia-based Blackthorn Resources extraction of first ore from the Perkoa zinc joint venture, in Burkina Faso.